Topic wise and full length online test series created by the India’s best UPSC experts for civil services preliminary exam. The Goal of our Prelims 2019 online test series is to ensure that you get enough practice and confidence before you appear for the preliminary exam. The online Test Series for UPSC Prelims -2019 has a unique multi level practice system that ensures you get at least 4-5 revisions. The test series is designed in such a way that both freshers and repeaters can evaluate their preparation for every given topic in the syllabus as well as cover the entire course many times. Add to cart and checkout by making payment online via Debit / Credit Card or Net Banking. You can also deposit directly in ExamPariksha’s bank account (details on the checkout page) and inform us by email on support@exampariksha.com (with your order number and payment details). After confirmation of successful payment on our end you will receive the username, password and other details within 12 hours by email and sms. 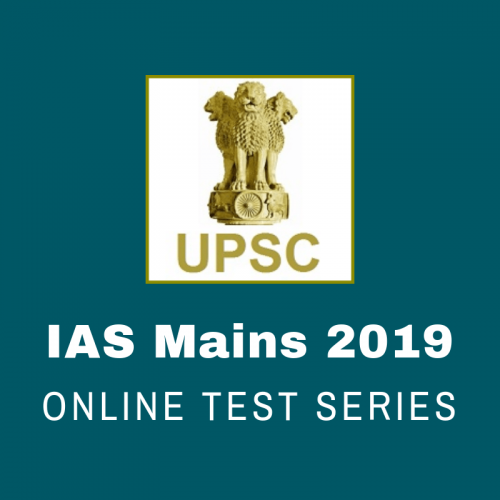 Have you already enrolled in UPSC IAS Prelims Test Series 2019? Public Policy, Rights Issues etc. Security market in India, etc. Is this test series bilingual or only in English ? 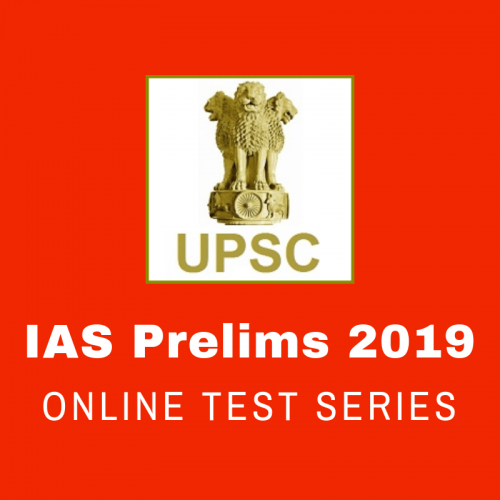 The UPSC prelims 2019 online test series is available only in English medium as of now. However we are working on to release Hindi translations very soon. You have recommenced some Books, are they sufficient ? In most cases YES, but you can always read more based on your performance in the tests and the topics where you fall short. Although keep in mind that you will memorise more by revising one book multiple times than reading multiple books just once. I don’t see any current affairs in this test series ? We provide monthly current affairs questions free of cost to all students on our online test portal. Make sure you solve them there till the last month before your exam. To maintain the freshness and relevance we include only limited number of current affair questions in paid test series. 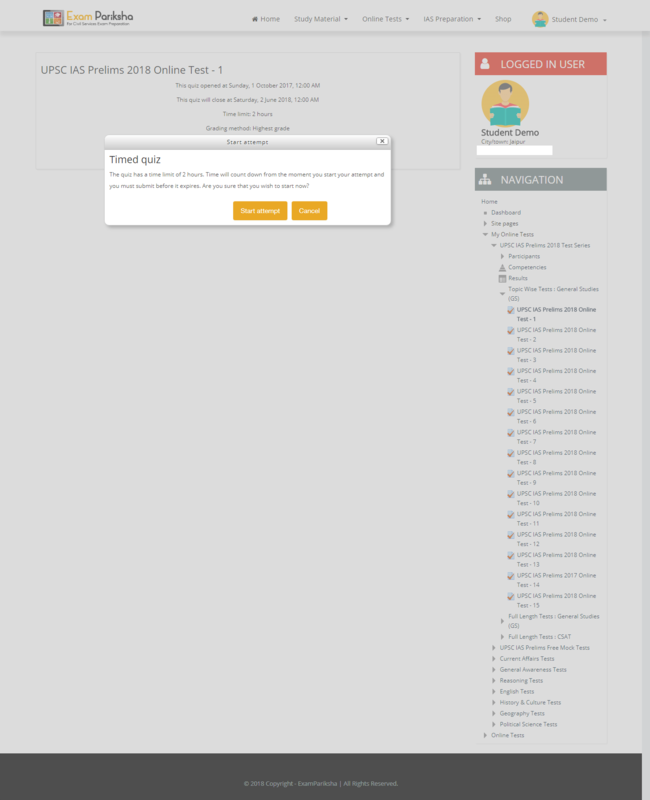 I have made the payment for IAS Prelims online test series, but didn’t receive login details ? You will receive your login details by email and sms within 12 hours of successful payment. If not, please contact the customer care at support@exampariksha.com with your order number and payment details. Is this test series also available Offline? No the test series for UPSC prelims 2019 will be held online only. Online test series comes with added benefits such as ability to take the tests any-time any-where and you get the flexibility to take the tests on phones, tablets or PCs. You also get all India rank, instant result and solution with our online test series which is practically not possible in offline mode with this much flexibility. How many times can I attempt the tests ? You can attempts all the tests as many times as you want till 18th June 2019. Your progress and score will be saved for each attempt you make and thus allowing you to track your preparation even better. Can I share the test series with my friends ? No, sharing your login details or questions from our online test series with your friends or publicly will lead to getting your account disabled. No refunds will be made for such deactivated accounts. You can claim refund (minus transaction fee) if you don’t like our prelims test series within 7 days of enrolling, given that you have not attempted more than 3 tests. The refunds will only be issued to the claims made before 25th May 2019. ExamPariksha Enterprises hold all the rights regarding refund discretions. How many questions will come in UPSC Civil Services Prelims 2019 exam from this test series ? Probably all probably none. In the year 2017 we saw over 75% questions in official prelims exam directly or indirectly from our test series. We believe the trend will also continue this year however we make no guarantees. After researching in other sites I found test series by exampariksha as most reasonable and value for money. I hope these many tests will be enough to make me pass the pre 2019. So far its good going. Keep up! Your schedule is good and doable. Questions have helped me revise the things I missed. I hope to qualify with my hard work. Thanks for the guidance. This test series is serving me good for revising the stuff that i cover. 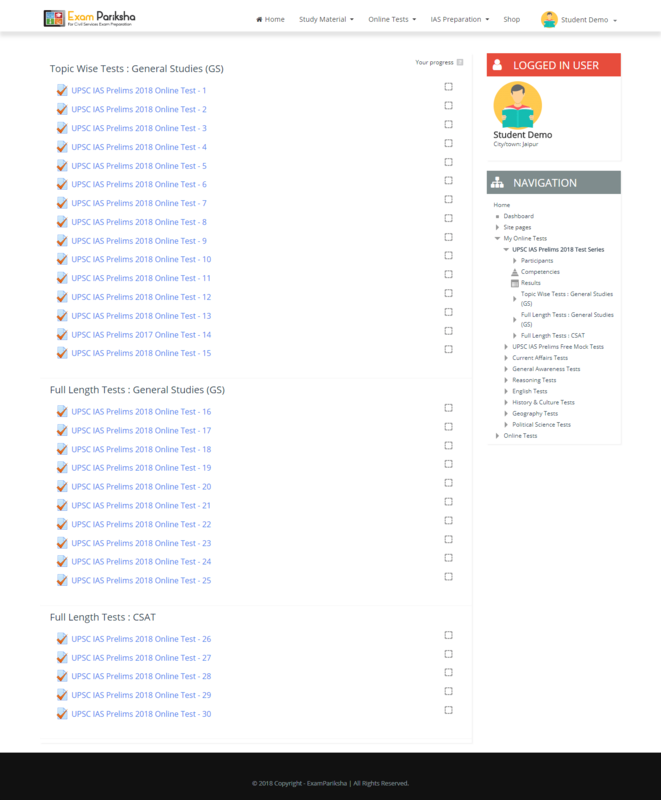 The team at exampariksha.com is keeping me on my toes. Thank you guys for that. UPSC like questions (I am a repeater) with very detailed explanations. Above all the exampariksha team is highly responsive and helpful. On the Internet there are a Huge no. of Brands which are providing online Test Series for upsc civil services 2019. May be all are Best at their own places. But i want to refer exampariksha’s online mock test Series, It is up to student if he/she wants to join it or not, from my experience I think this is best one. I was not very sure earlier about joining an online test series. I have always believed in practising with traditional pen and paper method but now i realize that taking test online is really very convenient and I am loving the way I can prepare at my home only and I don’t have to waste time in buses travelling around coaching centres. Not just a test series, but also comes with a complete plan to study regularly. Hope to clear upsc this year. I have previously taken online tests from insights on india, forum ias, vision ias which were fine but not very comprehensive. This time I was thinking to try iasbaba but then I found Exampariksha.com and trust me guys this is by far the best test series for upsc prelims I have taken in last 2 years. Worth every penny. Fingers crossed, if I make to mains this year I will surely go for their mains test series as well. Wonderful Test series for ias prelims. 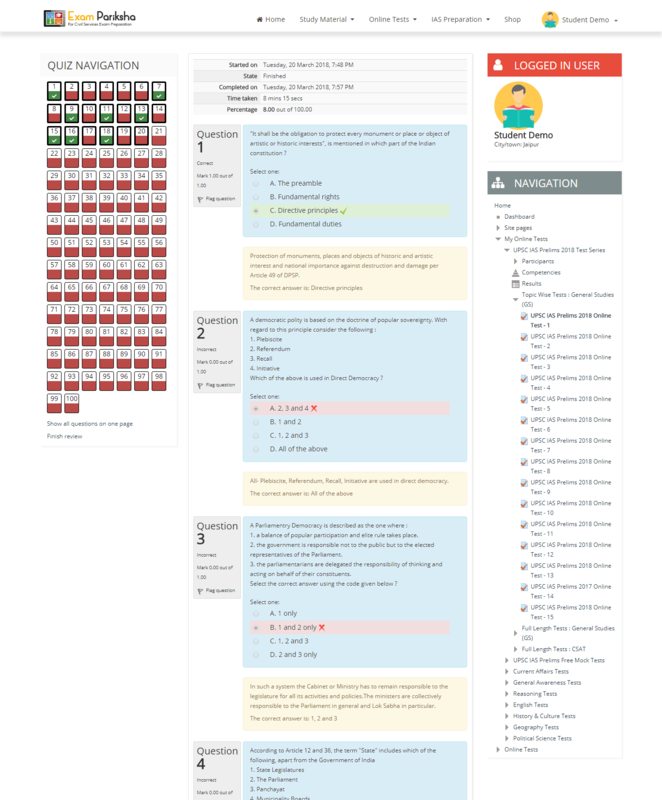 They have put a lot of effort to make all the questions, it is really visible when you attempt the tests. I like the way they only recommend reading NCERTs and standard books which are usually followed by most successful IAS aspirants. In short exampariksha is one stop destination for ias test series. Sir, can You also give printing option ? Hello Akansha, the test series is only available online. It is not possible for us to provide offline printed tests all over the India. 1. Makes me read every chapter of NCERT text books thoroughly. 2. Books and resources are recommended for each and every part of the syllabus. 3. Test plan is great to stay disciplined and for revisions. 4. Cheapest and worth the money. 6. As already stated by many here, gives a feel of attempting real UPSC questions. 1. Questions are good and at par with UPSC Civil services Prelims. 3. Importance given to NCERT and Standard Books just like UPSC. 1. Ques can be a little hard sometimes. I need to prepare more. 2. App only available for android. It helpd me a lot in actually understanding how ques can be asked from ncert and the hindu newspaper! Kudos to the team! Questions in this test series are a little harder than UPSC but give good practice for prelims…. It’s always better to over prepare than to under prepare. I like how you can attempt these tests anywhere from laptop or on exampariksha mobile app. There was a live test yesterday .. and I scored 74/100 !! Your sectional test are working good for my subject revisions. I realised my surface reading of physical geography ncert is not sufficient to answer questions. Thanks for giving these subject wise test or I would have been ignoring proper revision of topics. I plan to clear the forest cutoff in this prelims. – Questions are very relevant and framed the way upsc does. I cleared the prelims last year and I can totally vouch for the quality of questions in this test series. – Support is helpful and cordial. They even call to remind you when you don’t attempt your tests on time. Last year when I started my civil services preparation I just used to practice chapterwise and previous year questions. This time I am going with test series and so far I have kept myself pretty regular with all the test and I can actually feel the improvement in my performance. Hi, I wud recommend this test series. So, you will be prepared well even if paper comes hard this year. Best strategy. The test series completely prepared keeping in mind the exam pattern and course. 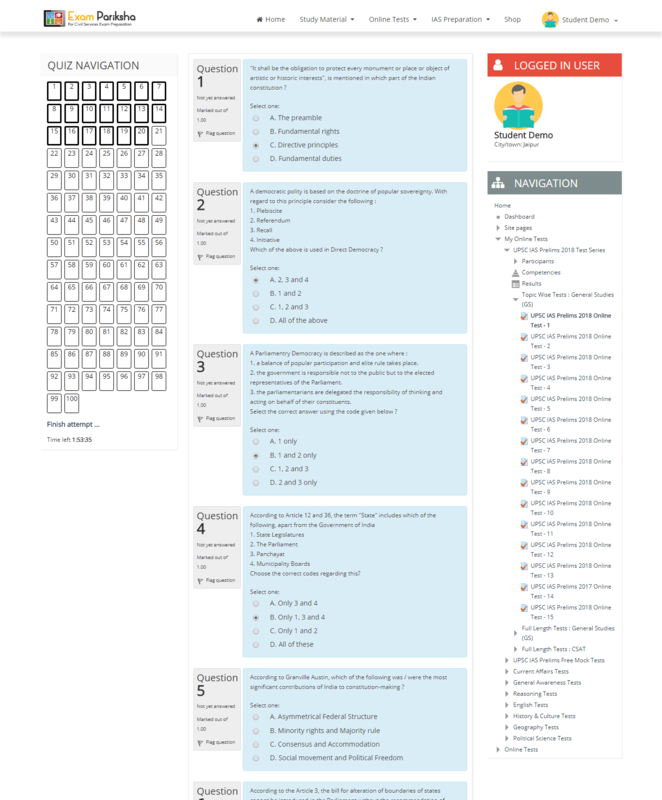 You will find 100 questions in each test (attempted 5 so far). Give it a try friends. Keep sharing and exploring. In total you will be getting around 3-4 complete Revisions with 30 test papers which is a lot of practice before exam. I recommend you to start early to follow the test planner properly otherwise you will lag behind. The test series by ExamPariksha is one of the best ones available right now for UPSC prelims and the cost is also pretty reasonable . The questions are good although a little on the harder side and I like the way questions are carved out mostly from NCERTs. Its only due to this online test series that I am able to sincerely read the relevant NCERTs. It provids me the much needed motivation to complete my NCERTs reading and revisions.